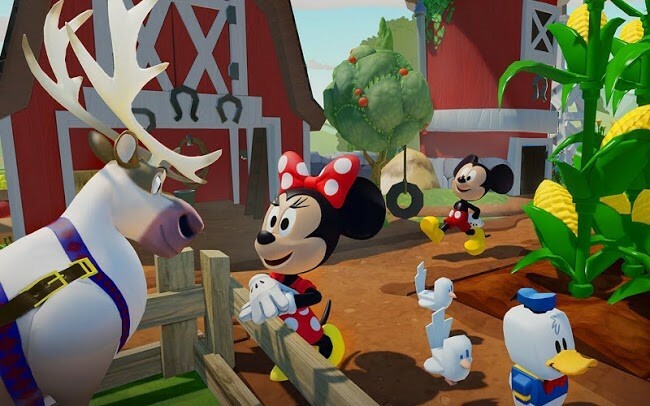 The new open world Disney Infinity: Toy Box 3.0 comes Google Play so we can enjoy from our Android devices for the first time the universe of Star Wars , whose worlds and characters have been added to the worlds of Disney, Pixar and Marvel . 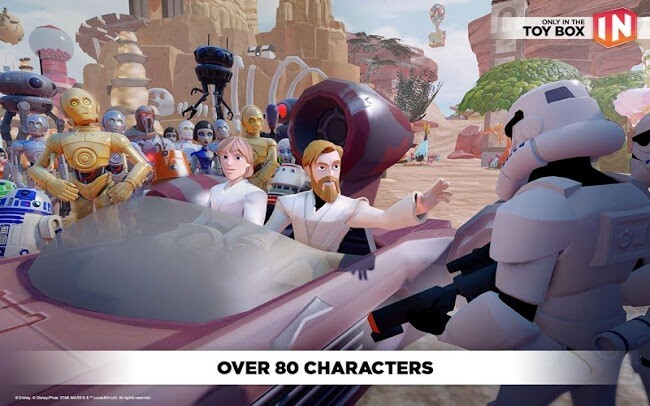 Disney Infinity: Toy Box 3.0 includes the worlds and characters from the previous Toy Box Toy Box 1.0 and 2.0 (disponible Android ) more new worlds and characters from the Star Wars franchise, which now have more than 80 characters to play in the worlds we build in the game. 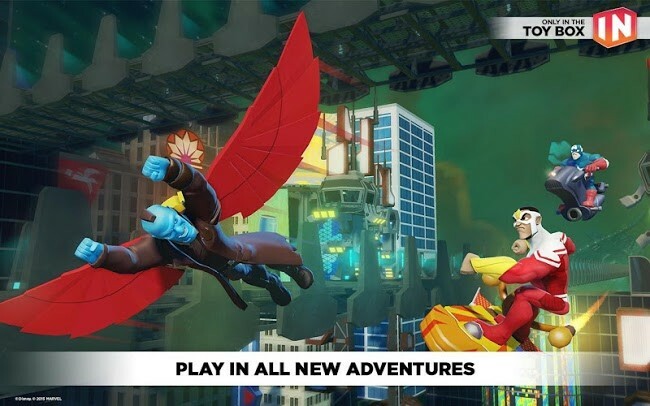 Disney Infinity 3.0 Android includes other new features such as improved controls (classic and gestures) and the new Portal Toy Box 3D , with which we can share Toy Boxes and take multiplayer games online to play together. Disney Infinity. Toy Box 3.0 synchronizes starting with all versions of the game for PC, consoles and mobile devices to continue playing from any device instead. Also, if we were playing our characters Toy Box 2.0 were transferred to log on to this new game. The game is in Spanish. 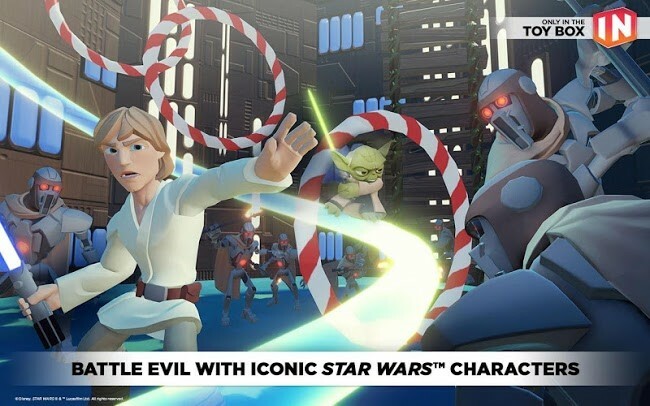 News Disney Infinity 3.0 comes to Android with Star Wars was originally published in Engadget Android by Cosmos .